Pamela is Managing Editor at Emerj. She previous worked in B2B digital publishing with Innovation Leaders and Boston MedTech. Pamela holds a Master's degree in Media Ventures from Boston University. Travel chatbots, often called “virtual travel agents,” are now emerging as a tool which can learn about its consumer and take on action items, such as booking, or searching through booking emails and calendars to build an itinerary. As large companies like Kayak and Expedia have brought bots to apps and mobile-optimized websites, they are also integrating them on mobile messaging applications used widely by millennials, like Facebook Messenger. At its 2017 F8 conference, Facebook’s Vice President of Messaging Products, David Marcus announced that the Messenger platform now hosts over 100 thousand bots. In a 2017 study from 3CInteractive, 40 percent of millennials say they use a chatbot on a daily basis. In an earlier 2016 Pingup survey, titled “Messaging and Chatbots in Local,” 55 percent of millennial respondents said interaction with chatbots positively effects their view of a company, while 50 percent of these millennials said they would like to use chatbots for booking reservations or appointments. But big companies, like Google, Kayak and Expedia, aren’t the only ones attempting to disrupt the travel industry with artificial intelligence. This article compares five companies that are using chatbots to assist customers in planning their next getaway. Listed companies offer either a chatbot, or chat thread which combines responses from chatbots and human agents. Ranked in order of raised funding, each company listed either offers an app, mobile-optimized site, or integration options with popular messaging applications. All chatbots featured can offer users travel suggestions, as well as flight or hotel booking assistance. * Data on this chart was found on the company’s Crunchbase, AngelList or PitchBook profiles. User target information was pulled from company websites. Staff size was pulled from the websites if all staff members were listed and from Crunchbase if the website did not clearly state staff size. ** A question mark appears after to Pana’s raised funding because some press releases and news coverage estimate that it has received $2.5 million in funding, while Crunchbase and AngelList list raised funding at $1.5 million. Hipmunk is an online platform which offers a suite of services that aim to help users plan a trip and book reservations. It also can weed through booking emails and calendar items to build personalized itineraries. Hipmunk’s chatbot product, Hello Hipmunk, is chat interface that enables a user to send its Hipmunk chatbot questions or comments like, “Can you find me a hotel for June?” or “Send me flights to Boston for this weekend.” The Hipmunk will respond with recommendations that it has pulled from various airline, hotel, or other travel sites. The company, which now has a team of over 50, was co-founded by Reddit Co-Founder Steve Hoffman. This demo shows how Hello Hipmunk claims to help users with quick travel bookings. It also demonstrates how users can interact with the Hipmunk chatbot. While the Hello Hipmunk service claims to use AI to learn its users preferences and search the web for the best matching deals, it can also be sent booking emails and search through user calendars to build an itinerary for the users trip. These itineraries can then be sent to others, such as family or colleagues. In line with bigger companies, including Expedia, Hello Hipmunk, can be integrated into a user’s Facebook Messenger, as well as Slack or Skype apps. In 2016, a Hipmunk study presented more evidence that millennial audiences should become a key target in the travel industry. When asked if they’d consider taking vacation days to travel at the end or beginning of a company business trip, 81 percent of millennial respondents said they would consider it, compared to 56 percent of Gen Y travelers and 46 percent of Baby Boomers. Hipmunk has also won two Webby awards, and is nominated for a third, in the travel category for its excellence and variety of tools. In 2016, the company was acquired for $58 million by Concur Technologies, a travel expensing platform. It is unclear how much Concur paid for the acquisition, but in a press release, the company said Hipmunk will still continue to run as its own service. However, Concur plans to integrate Hipmunk’s search technology on to its company oriented business-trip oriented platform. Mezi also claims to be an online concierge that users can chat with for trip recommendations, flight information, and hotel availability. When users open the Mezi app, they are directed to a chat interface where they can send Mezi a message explaining where they are going and when. Mezi responds quickly, asking preference questions about hotel ratings, budget, and amenities. Users can respond to Mezi by giving answers with multiple details. Mezi will then search the web and respond with links to hotels that match the user’s preferences. Once a user books a hotel stay through the links provided, the bot will send messages to confirm the booking. Once a trip is booked, users can also ask it for restaurant, shopping, and other excursion suggestions. In addition to targeting business and leisure travelers, the company also offers Mezi for Business subscription, which features a Travel Dashboard marketed to travel agencies and travel management companies. With its Travel Dashboard, Mezi claims that a traveler working with a partnering agency can message the chatbot to find booking options. After an agency directs a client to its Mezi site, the chatbot can ask the user questions to get hotel, flight and destination preferences. According to Mezi, an agent from the partnering travel management company can then look through the entirety of the conversation to learn more about the client. Mezi also claims that it uses the client’s responses to build a traveler profile that the agency can access. In 2017, Mezi announced its full launch of the product, noting that companies including Bluefish, Adelman Travel, Casto Travel, W Travel and American Express were already subscribing customers. CTO and Co-Founder Snehal Shinde comes from a strong technology background. He received his M.S. in Computer Science from the University of Southern California in 2004 and went on to become product manager at Yahoo from 2009 to 2011. Swapnil Shinde, the company’s CEO, was also employed in technical positions at Yahoo from 2007 to 2011, and previously held a software engineer role at IBM Software Labs between 2000 and 2002. The company was acquired by American Express in January 2018. According to a press release, the app will replace the need for the card company’s AskAmex service, a similar AI concierge which was in its piloting stage. While its user numbers are unclear, the app has a 4.5/5 star rating, and 203 reviews, in the Apple App Store, and a 4.4 rating with over 500 installs on Android’s Google Play. SnapTravel is a bot and hotel booking service that can be accessed to users through Facebook Messenger or SMS with no app download requirements. The bot is marketed to users looking to book cheap hotel deals, which the company receives from its roster of hotel partners, according to its FAQ. Below, SnapTravel’s CEO gives a detailed demo of the SnapTravel experience. This simple program is accessible by text message and Facebook Messenger. When a user contacts SnapTravel through either messaging platform, its chatbot begins by asking the prospective traveler a few preference questions, such as “What’s your budget?” or “Do you have a hotel in mind?” The company claims it automatically searches online deal finders, such as Expedia, and sends the user website links to the best-matching travel options. The user can then click the links and book from the site which posted the original deal. According to Crunchbase, the company has received $9.2 million in Seed Round and Series A funding. While its primary headquarters is in San Francisco, CA, AngelList notes that a secondary headquarters is based in Toronto, Canada. Both AngelList and Crunchbase listed the company of having 11 to 50 employees. The company’s CTO, Henry Shi, previously served as a software engineer at Google, where he assisted in the launch of Youtube’s Music Insights. The feature aggregates viewing information from all videos that the artist has uploaded, as well as videos from their profile that have been copied and reuploaded by fans. Music Insights then generates a dashboard for the artist, which offers easy to understand fan demographics. This dashboard includes a list of tour suggestions, made up of cities that hold the highest viewer population. This Austin startup has developed an IOS application which allows a user to interact with a chatbot through voice or text commands, similarly to Apple’s Siri. HelloGBye claims that users can type, or vocally describe, complex travel requests involving one or more people into its messenger app and receive a chatbot response with a detailed flight and hotel itinerary in under 30 seconds. On its website, HelloGBye says it aims to solve pain-points of frequent professional travelers who need to book complex business trips or adjust travel plans quickly. In this video, HelloGBye’s CEO, Jonathan Miller, demonstrates how to use the mobile application. When a user first opens the HelloGBye app, they are asked a few multiple-choice travel preference questions on a page which looks like a simple online survey. Once this step is complete, HelloGBye opens to a chat interface, similar to Apple’s IMessage. When the user is ready to start planning a complex trip, they can request all of their travel needs, such as hotel dates or flight times, by recording one voice message. Similarly to Apple IMessage’s voice to text feature, HelloGBye converts the vocal request to text which then appears in the chat thread. The company claims that, within 30 seconds, its software can search the web for flights and hotels that fit a user’s preferences and messaged request. 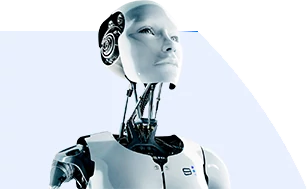 Its chatbot will then respond with a full trip itinerary, with clickable links to hotel and flights recommendations, which can then be approved and adjusted by the user. This seems to be based on an approach similar to recommendation engines in media and other sectors. Once a trip is booked through the app or website, a user can then send a voice or text message to request travel adjustments, such as cancellations. HelloGBye also says its software can manage itineraries and even more complex voice requests involve more than one traveler. Users who don’t wish to record voice messages can also send a text-based message with multiple travel requests to its chatbot. The service, which offers free and subscription models, also targets business users by offering features for group collaboration. While individual users can use HelloGBye for free, they can also gain more perks, such as the ability to earn rewards points and no booking adjustments fees, with a subscription for $19 a month. Companies also have the option to purchase business subscriptions for $199 a month, according to its website. The company is privately held and does not list full funding information. However, Pitchbook suggests that it has received roughly $4.5 million in funding from angel investors. While HelloGBye can be accessed online, it is only available as an app on IOS devices. Similarly to Mezi, HelloGBye has announced a partnership with American Express which will allo them to gain insights on the corporations users while the card company begins to explore the voice technology further. The company’s Chief Analytics Officer L, James Valverde, Jr, has a PhD. from the Engineering Systems Division of the Massachusetts Institute of Technology. Pana claims to combine chatbots, humans and artificial intelligence to help companies and professionals manage travel. While professionals can use the app for individual business trips, companies can use the app to assist guests that they’ve invited to their offices, such as interns, job candidates, or other colleagues. All users of Pana’s free and paid versions require a company email to download the app. With the paid version, which costs $49 a month or $499 per year, Pana allows a manager to fill in guest details, such as trip dates and contact information. Pana will automatically send the guest an introduction email. Through Pana’s app, the traveler will be able to message a virtual travel agent, a chatbot, or access human concierge. The bot will ask the user a few questions through the app or via email, and will then send booking suggestions for flights and hotels. A human concierge can assist in troubleshooting when issues like flight delays arise. Along with 24/7 access to a human, Pana also claims that the paid version can also automatically check a user into a flight. Like Hello Hipmunk, Pana’s free version offers a chat interface and a bot which can respond to a user’s text message requests with flight or hotel recommendations. It also claims it can notify them of flight delays or schedule adjustments. The program can also filter through a user’s booking emails and activity within the app to create a shareable itinerary. This demonstration video shows how young professionals and other company employees can use Pana’s free app to plan and make adjustments to their business trip. In 2017, Pana was included in a group of travel-friendly apps that partnered with the business-expensing startup, Expensify. With the partnership, Pana’s paid users can now link the app to their Expensify account. According to Expensify, the expensing platform has also added integrations with companies like Jettly, a private jet charter marketplace, and ParkWhiz, an app for searching finding and booking spots. Prior to founding Pana, CEO Devon Tivona studied computer science at University of Colorado Boulder before analyzing new and emerging technologies on the research and development team at Hewlett-Packard. He’s also worked on IOS teams at Flipboard, a personalized news application that recommends news stories and publications based on user preferences, and MapQuest. The company’s former product design head, Paul Ballas, has also focused on UX design at major companies including Deloitte and Oracle. According to LinkedIn, many current software engineers have completed advanced computer science and software development programs with organizations including Galvanize, University of Colorado Boulder, and Turing School of Software & Design. When it comes to travel industry chatbots, a few key themes arise, which may correlate with an industry shift to millennial audiences. Rather than offering a bot that reacts and responds with simple travel suggestions, all listed travel companies have implemented booking or reservation opportunities with partnering airlines, hotels, restaurants, and other various hospitality businesses. As millennials and younger generations are more engaged by products that provide “instant gratification,” the strategy of offering recommendations and immediate booking in one chat period may entice this audience. All companies listed were compatible with at least one mobile device. However, most were not just built-from-scratch applications. Instead, many companies are offering chatbot integrations on pre-built, heavily used messaging applications such as Facebook Messenger, Slack, Skype, and WhatsApp. This may further increase reach to millennials, the most frequent of social media users, and the most willing to travel than generations before them. As the oldest millennials began moving up in the career-world, a 2016 survey from MMGY Global revealed that millennials have become the most frequent business travelers. The survey polled over 1,200 professionals who had taken at least one business trip in the last year. While the overall group of respondents took an average of 6.8 business trips in 2015, millennials took an average of 7.4. Those in Gen X and baby boomers took an average of 6.4 and 6.3 business trips respectively. A later 2017 study from the research firm Phocuswright, a majority of working-professional respondents said that they prefer to “go rogue” by booking their own travel, rather than using travel agents or coordinators provided by the company. While these studies show further evidence that the millennial audience is a key travel chatbot demographic, large companies have also begun to use startup partnerships and acquisitions to zone in on millennial professionals as well.Concur Technologies’ 2016 acquisition of Hipmunk, or American Express’ affiliations with HelloGBye and Mezi, shows that companies and professionals are looking for both fast and efficient travel solutions.